We’ve scoured the archives for women’s magazines and periodicals to share some advice from the good old days. So now that you’ve completed your back to school shopping you might want to arrange a children’s tea party. 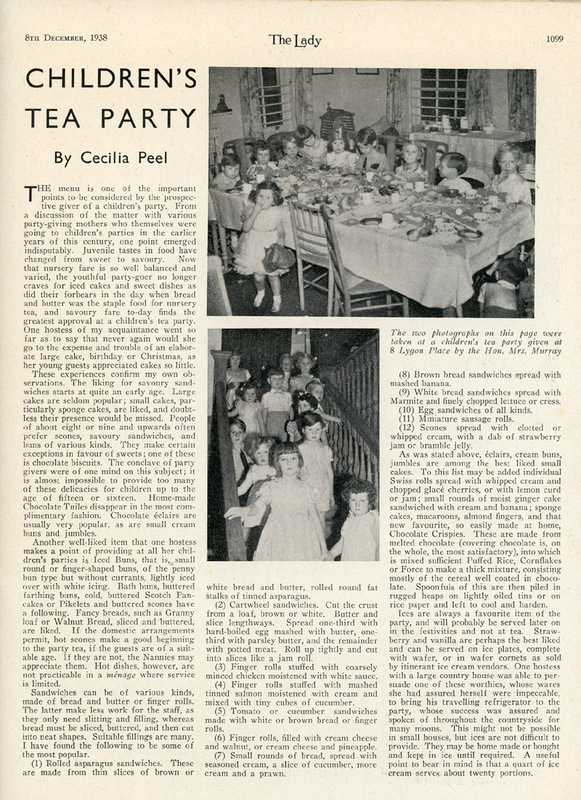 This write-up from The Lady of December 8, 1938 gives some wonderful foodie tips for a Downton Abbey style bash perfect for the little ones.